Roanoke Outside Foundation/Blue Ridge Marathon (We/Us) is committed to protecting and respecting your privacy. For the purpose of the General Data Protection Regulations (GDPR), the data controller is Roanoke Outside Foundation/Blue Ridge Marathon, 111 Franklin Plaza, Suite 333, Roanoke, VA 24011. 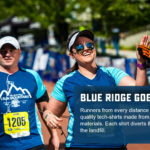 Information that you provide by filling in forms on blueridgemarathon.com (our website). This includes information provided at the time of registering to use our website, subscribing to our service, posting material, or requesting further services. We may also ask you for information when you enter a competition or promotion sponsored by us, and when you report a problem with our website. Our website may, from time to time, contain links to and from other websites. These links may take you to sites operated by other organizations over which we have no control and for which we are not responsible. These websites have their own privacy policies and we do not accept any responsibility or liability for these policies. Please check these policies before you submit any personal data to these websites. 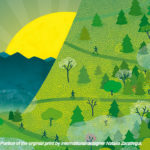 No mention of any organization, company or individual to which our web site is linked shall imply any approval or warranty as to the standing and capability of any such organizations, company or individual on the part of the Roanoke Outside Foundation/Blue Ridge Marathon.